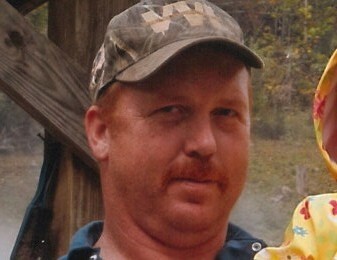 Mark Wayne Frazier, 48, of Linefork passed away Friday, March 25, 2016 at Evarts, Kentucky. Mark was the son of Beatrice Polly Frazier and the late Fred Frazier. Surviving other than his mother is his wife: Jennifer Caudill Frazier; 2 sons: Mason Keith Frazier and Matthew Allen Frazier both of Home; 3 daughters: Sasha Nicole Engle of Sandlick, Ashley Rowena Perkins of Linefork, and Katelyn Makayla Caudill of Linefork; 2 brothers: Fred Allen Frazier of Gordon and Norman Keith Frazier of Pineville; 1 sister: Rowena Boggs of Cornettsville; 3 grandchildren: Layla Shyanne, John Mark, and Hunter Wayne. Funeral: 12:00 O'clock Noon Tuesday, March 29, 2016 at the Defeated Creek Old Regular Baptist Church with Danny Dixon, Roger Fields, Jimmy Dotson, and Wayne Caudill officiating. Visitation: 6:00 P.M. Monday at the Defeated Creek Old Regular Baptist Church. Burial will follow in the Frazier Cemetery.